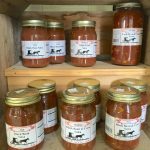 We’ve got your Labor Day weekend salsa selection! 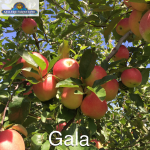 Ginger Gold and Gala are now available! Zestar apples are ready for picking! Zestar chose to be the first apple variety to ripen this year! 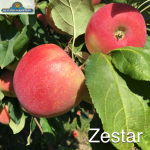 If you love Honeycrisp, you’ll LOVE Zestar. People tend to compare it to Honeycrisp. 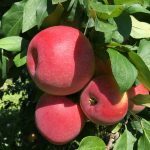 You can pick your own Zestar apples in our Oswego orchard or buy pre-picked. Thinking about fall yet? 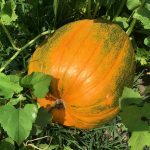 All varieties, sizes, and stages of pumpkin growth are out in the patch. This pumpkin was on the edge of the patch making it easy to photograph. It is good-sized now. Just wait another month and this will be an absolute behemoth (like many others)! 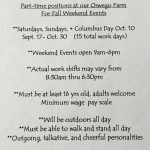 Now Hiring for Oswego Farm Fall Activities! We are now hiring for our Oswego farm fall weekend activities! See requirements in photo. You can fill out an application at any of our locations. Anyone applying must fill out their own application. 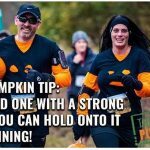 We’re hosting “The Great Pumpkin Run 5K” September 17th! 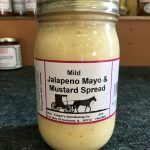 Frank started the business in 1991 with a cart at the end of our driveway on the Naperville farm. He had just returned from serving in the Peace Corps in Lesotho (a country in southern Africa) teaching people how to farm. This was his first actual farmstand building (1993). He originally sold only vegetables in the summer and pumpkins in the fall. 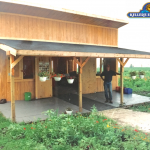 Our current Naperville farmstand was built to replace this one which we outgrew. My, how times have changed! 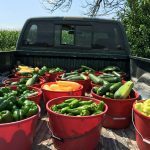 Need hot or sweet peppers, zucchini, or yellow squash? We’ve got ’em! All farmstands are loaded with fresh vegetables. Come in and see what you’re fixing for supper tonight!